Squamous cell carcinoma in dogs is a type of skin cancer that can manifest itself in the form of sores and bumps, in the skin, the nails, or in the mouth. If diagnosed early enough, the cancer can be treated, and the prognosis is relatively good. However, the news that your dog has any type of cancer is never good news and any caring owner will want to know what they can do to help their dog and what treatments are available to fight the cancer. 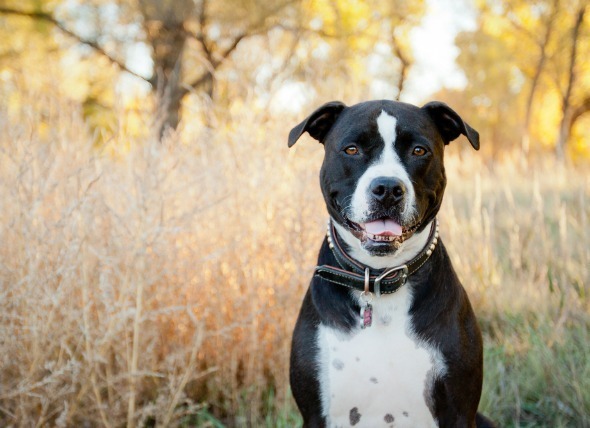 So, here are the answers to the most frequently asked questions that people have about squamous cell carcinoma in dogs and some information on how CBD may be able to help your dog. What Are the Different Types of Squamous Cell Carcinoma in Dogs? Squamous cell carcinoma that occurs in the skin is called cutaneous squamous cell carcinoma. It often occurs in areas of heavily pigmented skin and areas of the skin that are often exposed to sunlight. Subungual squamous cell carcinoma refers to tumors that appear in the nail beds. This is the most common type of squamous cell carcinoma in dogs. 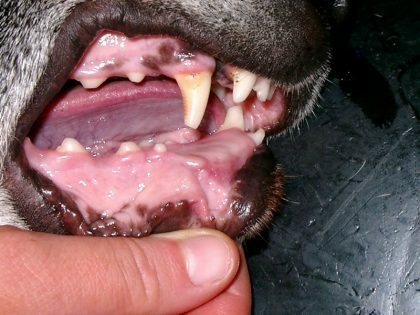 If the tumors are in the mouth of the dog, then the cancer will be referred to as oral squamous cell carcinoma. Oral squamous cell carcinoma is the most common type of mouth cancer in dogs. 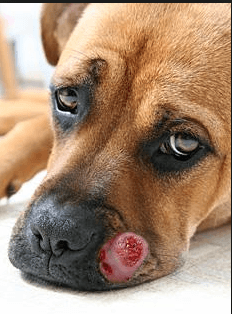 What Symptoms of Squamous Cell Carcinoma in Dogs? Why Does My Dog Have Squamous Cell Carcinoma? The causes of squamous cell carcinomas in dogs can be difficult to tie down, because it is likely that both environmental and genetic factors act together to cause the cancer. Exposure to sunlight is an important factor, as is demonstrated by how common squamous cell carcinoma is in dogs who live at high altitudes or in sunny climates. Other factors that make it more likely that a dog will develop common squamous cell carcinoma include the following: The disease usually occurs in dogs over the age six years old. It is more common in dogs whose immune system has been compromised. There also appears to be a connection between the papilloma virus and the development of squamous cell carcinoma. The disease is also more prevalent in some breeds than it is in others. Standard Schnauzers, Keeshonds, Collies and Basset Hounds are prone to squamous cell carcinomas in the nail beds. Oral squamous cell carcinomas are more common in Shetland Sheepdogs and English Springer Spaniels than in other breeds. Rottweilers, Scottish Terriers, Gordon Setters, Dachshunds, Poodles, Labrador Retrievers and Schnauzers are more likely than other breeds to develop skin squamous cell carcinomas. What’s the Life Expectancy of Dogs with Squamous Cell Carcinoma? The good news is that Squamous cell carcinoma in dogs is one of the more treatable forms of canine cancer. The complete cure of any type of cancer in dogs is very rare, but if the cancer is caught early enough, squamous cell carcinoma is usually treatable and the dog’s life expectancy can be significantly increased. If the cancer has not metastasized to other parts of the body, a dog that has surgery to remove squamous cell carcinoma has a 95% chance of surviving for at least another 12 months or more. If repeat surgery on a dog is required to remove the tumors, then 60% of those dogs operated on can be expected to survive for at least a further 12 months. Unfortunately, however, in cases where internal metastasis is present, only 10% of dogs can be expected to survive 12 months. What Are the Available Treatments of Squamous Cell Carcinoma? The removal of the tumor by surgery is the most effective treatment in cases of squamous cell carcinoma in dogs. When the tumor is removed, 2cm of the surrounding tissue will also be removed to ensure that all the cancerous tissue has been taken out. If the cancer is in the nails, that can mean that an entire digit will need to be amputated. As squamous cell carcinoma is a cancer of the skin, the surgery required to remove it is usually not very invasive. That improves the chances of survival and makes recovery from the surgery relatively easy for the dog. However, the area of skin where the tumor used to be will need to be kept clean and steps will have to be taken to stop the dog scratching or licking the wound. It is likely that the vet will ask for a return check-up a few weeks after surgery to assess the dog’s progress. Other than surgery, there aren’t many alternative options available for the treatment of squamous cell carcinoma in dogs, but alternatives might be suggested if the cancer is caught in the very early stages, or if the dog is not fit enough to undergo surgery. 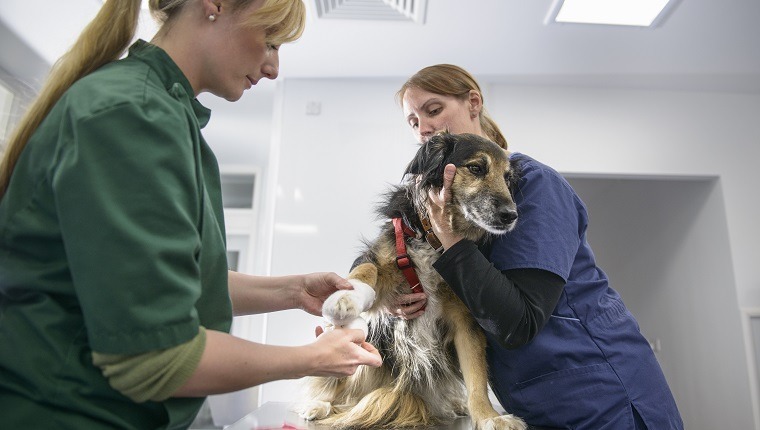 The alternatives to surgery include chemotherapy via an implanted gel, which has been shown to be effective in some cases of squamous cell carcinoma in dogs. There has also been some success with a medication called Etretinate, which is a medication that is usually used for the treatment of very severe cases of psoriasis in dogs. Cryotherapy, which is a treatment that freezes the tumor, may also be used. For oral squamous cell carcinoma in dogs a combination of surgery and chemotherapy is often employed. In cases where the surgery is thought to have not removed all the cancerous tissue, or where the tumors are in a location that makes surgery difficult, radiation therapy may be recommended. Follow-up chemotherapy may be recommended, particularly in cases where there is evidence of metastasis. There is growing clinical evidence to support the huge amount of anecdotal evidence that cannabidiol, also known as CBD, can be used to help prevent the growth and spread of certain types of cancer, both in animals, and in human beings. Not to be confused with the psychoactive compound TCH that gives cannabis users their high, CBD is a non-toxic compound found in the hemp and cannabis plants that acts upon the endocannabinoid system in the body. This system stimulates a number of therapeutic benefits that can help a patient cope with the symptoms of cancer, the side effects of cancer treatments and, in some cases, CBD may be able to help fight the cancer too. CBD can be delivered to your pet’s body orally with Tinctures, Capsules or Yummy Dog Treats. Although squamous cell carcinoma in dogs is not the most aggressive of all the canine cancers, if it is left untreated, it may spread, and it could quickly become life-threatening. For that reason, if you do spot the early signs of skin cancer in your dog, you should take your pet to a vet straight away, and not rely on CBD as an alternative treatment. However, when used as a complementary treatment alongside the usual cancer treatments, many pet owners have reported significant benefits for their pets when they used CBD. CBD can reduce pain and alleviate other common symptoms of cancer, which include loss of appetite, nausea and vomiting. This could help your pet cope better with the symptoms and encourage your dog to eat more, which, in turn, will give the dog more strength to fight the disease. Although research into the cancer fighting properties of CBD is still ongoing, a lot of the evidence that has been gathered is positive and does point toward the conclusion that CBD may be able fight cancer and assist in the recovery from squamous cell carcinoma in Dogs.